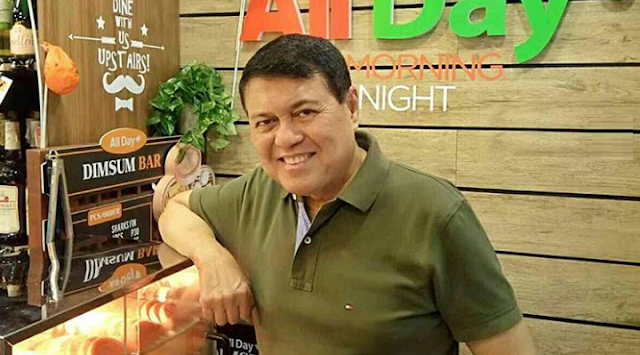 Manila, Philippines - Forbes Magazine's 2019 list of the world's wealthiest people has released earlier and the real estate tycoon Manuel "Manny" Villar topped the spot of the Philippines richest person in 2019, according to Forbes. According to this years ranking, 69-year-old Villar managed to grow his net worth to $5.5 billion as of March 5 this year from $3 billion in the same month last year, placing him at the 317th spot in Forbes' billionaires. Villar is currently the chairman of Starmalls and Vista & Landscapes, one of the country's leading property developers. 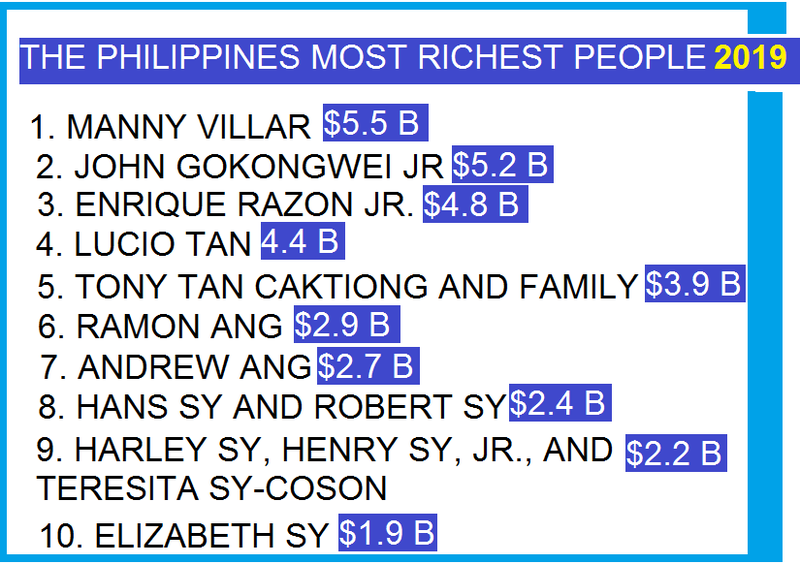 Over the past 11 years, Henry Sy Sr. dominated the richest list as the country's wealthiest man. The SM malls chairman passed away last January 19 at the age of 94. The second among the list is JG Summit founder John Gokongwei, whose net worth dropped to $5.2 billion from $5.8 billion last year. Third on the list is the gaming tycoon and chair of International Container Terminal Services Enrique Razon Jr., with the net worth of $4.8 billion. 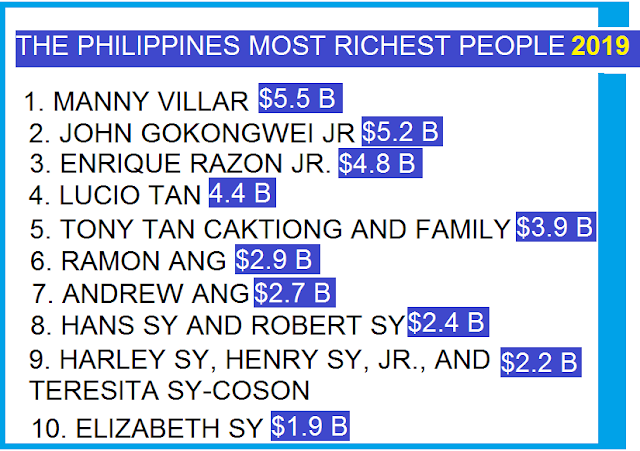 Taking the 4th spot is Lucio Tan, with a net worth of $4.4 billion, whose net worth are coming from tobacco, spirits, banking , and property development. However, Amazon founder Jeff Bezos took the top spot in Forbes world's billionaires with $131 billion as of this month from $160 billion in October 2018.